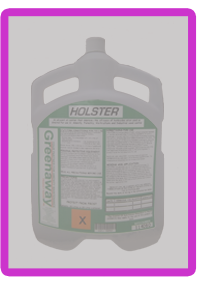 Greenaway Amenity offer a full range of adjuvants, specifically developed for the different areas of weed control.  Please read more about our products below, and should you have any further questions, please do not hesitate to contact us here. Meco-Flex is a biodegradable oil emulsion carrier specifically formulated to be used in conjunction with the following products: Headland Relay P, Headland Relay Turf, Re-Act and Depitox. Areas of Use : Meco-Flex, when mixed with Headland Relay P, Headland Relay Turf, Re-Act or Depitox as per manufacturers instructions, may be used on established turf and other grass areas to control broad-leafed weeds. When to Apply : For the best results, the grass and weeds should be actively growing at the time of treatment. In most years, treatment during the early part of the season is recommended, although spraying at any time between April and September will be effective except during drought conditions. Rates of Use : In all situations apply, when mixed at 10Its/ha through the Greenaway range of CDA applicators. 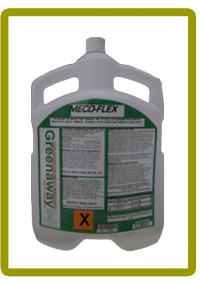 When mixed and applied in accordance with the manufacturers instructions, Meco-Flex will provide the user with an economic selective herbicide to apply through the Greenaway System range of CDA equipment. Areas of Use : Broad-Flex, when mixed with Greenguard/Broadsword as per manufacturer’s instructions, may be used to remove undesirable woody vegetation in many situations, i.e. Forestry, Amenity and Industrial whilst leaving grasses intact. When to Apply : Broad-Flex combined with Greenguard/Broadsword can be applied at any time of the year as a foliage spray for brush and scrub clearance on woody and perennial weeds when actively growing or to shoot spray in autumn and winter. 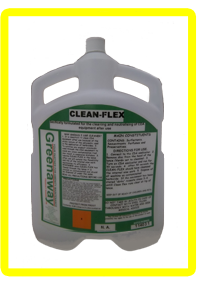 Additional Information : When mixed and applied in accordance with the manufacturer’s instructions, Broad-Flex when combined with Greenguard/Broadsword will provide the user with a very effective woody species control while at the same time allowing grasses to survive on the treated area. The combined product may be applied at any time of the year acting both on foliage and stems. It may also be used to control coppice. General Information : Pryz-Flex is a biodegradable oil emulsion carrier specifically formulated to be used in conjunction with Kerb Pro Flo or Kerb Flo Producing an excellent CDA winter applied soil acting residual herbicide. (See pesticide label for further details). Areas of Use : Pryz-Flex when combined with Kerb Pro Flo or Kerb Flo as per manufacturers instructions, may be applied to forest trees at any stage (either at planting, pre or post planting), ornamental trees and shrubs which have been planted in their final position for at least one season, (when planted in Spring they may be treated the following Autumn), around obstacles, street furniture and lighting and in cemeteries, around gravestones and memorials. When to Apply : Pryz-Flex when combined with Kerb Pro Flo or Kerb Flo should be applied from October to the end of February. However better results will be obtained if the product has spent several weeks in the soil prior to the growing season, The product requires moisture for root uptake and good residual action will be obtained in moist cold soils. 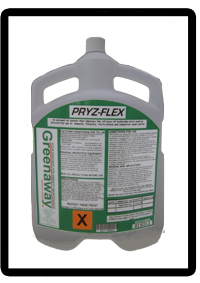 Additional Information : When mixed and applied in accordance with the manufacturers instructions, Pryz-Flex will provide the user with an economic residual herbicide to apply through the Greenaway System range of CDA equipment. Only MAFF approved products may be used in conjunction with this product. - Hedgerow bottoms, fences, walls and around buildings. - Roadways, pathways and hard surfaces. - As a directed application in ornamental plantings, forestry, site preparation and post-planting treatments. 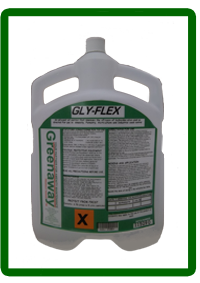 When to Apply: Gly-Flex, when combined with Greenaway Glyphosate should be applied when the weeds are fully emerged and are actively growing. Couch grass and perennial grasses should have 4-5 leaves and should be 10-15cm(4-6ins) in length. Annual broad-leaved weeds should be at the 2 true-leafs tage or beyond. Annual grasses should be at the 1 leaf stage or beyond. Perennial broad-leaved weeds should be treated after the flowering stem has become well grown. 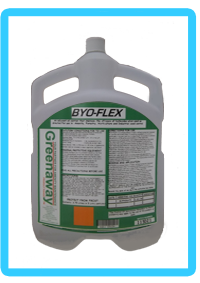 When to Apply : Byo-Flex, when combined with non-hazardous Greenaway Gly-490 Glyphosate should be applied when the weeds are fully emerged and are actively growing. Couch grass and perennial grasses should have 4-5 leaves and should be 10-15cm (4-6ins) in length. Annual broad-leaved weeds should be at the 2 true-leaf stage or beyond. Annual grasses should be at the 1 leaf stage or beyond. Perennial broad-leaved weeds should be treated after the flowering stem has become well grown. General Information : Asu-Flex is a biodegradable oil emulsion carrier specifically formulated to be used in conjunction with all approved 400g/l asulam herbicides. Areas of Use : Asu-Flex, when mixed with an approved 400g/l asulam herbicide as per manufacturer’s instructions, may be used to control bracken and docks in a wide variety of situations. When to Apply : It is essential that the dock plants to be treated should be actively growing and in full leaf. Do not treat docks in the winter months (October - March) although best results will be achieved during the growing season. Apply to bracken when fronds fully extended, usually in July and August. Rates of Use : In all situations apply, when mixed at 10 Its/ha through the Greenaway range of CDA applicators. Additional Information : When mixed and applied in accordance with the manufacturers instructions, Asu-Flex will provide the user with an economic method of controlling docks and bracken through the Greenaway System range of CDA equipment. Only MAFF approved products may be used in conjunction with this product. When to Apply : Eco-Flex, when combined with non-hazardous Greenaway Gly-490 Glyphosate should be applied when the weeds are fully emerged through the water surface and are actively growing. Application should cover the maximum surface area of the plant leaf.